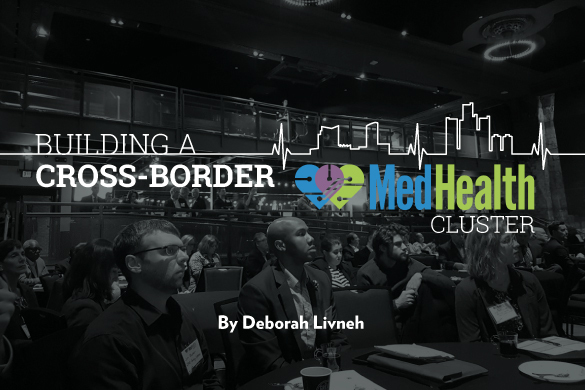 In April, WEtech Alliance helped put together the largest cross border MedHealth Summit in Detroit. MedHealth is the medical innovation cluster advancing businesses, healthcare systems, research universities, and funders in Michigan and Southwestern Ontario. WEtech has joined the leadership of MedHealth as a result of its successful cross border collaboration of Hacking Health Windsor + Detroit. The MedHealth Summit was an enormous success of promoting medical innovation and displaying collaboration in our region. 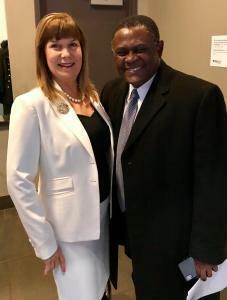 The keynote speaker was the inspirational Dr. Bennet Omalu, who was played by Will Smith in the movie ‘Concussion‘. He created a great excitement in focusing the attendees on disruptive innovation thinking for the MedHealth sector. Many exceptional Medtech innovations were on display by 43 early-and-second stage companies. What was unique about this summit was that we had matched Innovators with Investors and matched market ready ventures with 16 healthcare systems and hospitals. All, according to the innovators, investors, and hospitals preference. There were 131 pre-scheduled private meetings that took place in separate rooms. Twenty two Investor firms came from Michigan, Ontario and as far away as Chicago and China. Most innovators came from Windsor and Detroit. Incredibly, several start-ups traveled from as far as Toronto and London for the opportunity to meet U.S. hospitals and American investors. WEtech clients have benefited from participating in MedHealth Summit in a variety of ways. Some had a table to display their innovation to investors. Some also had pre-scheduled speed-dating meetings with investors, a couple of clients had pre-scheduled 20 minutes sessions with US hospitals. Several clients achieved exposure through speaking on the summit’s 2 panels. All clients had the opportunity to network with attendees, as well as, meet with the Ontario Health Innovation Broker, Martin Gurbin. He was there to speak and to help clients connect with Ontario health care system. The following WEtech clients participated in the summit: Audacia Bioscience, Clinic Seeker, RF Kinetics, Clear Voxel Imaging, True Phantom Solutions, Next HealthCare, Sarjan, OnTrack IVF, EMN and Infinit Nutrition. ITOS Oncology and Bisep were also registered, and would benefit from being connected to the medhealth cross border ecosystem. Evidence of the great potential long term impact of our excellent regional collaboration summit, came immediately following the end of summit. Stephen Konya, Senior Innovation Strategist for the U.S. Department of Health and Human Services explained how US support the clusters development across the United States. He indicated that the ONC HHS is looking to reach out to Canada by connecting with MaRS. Impressively, Mr. Gurbin, the Ontario Health Innovation Broker had asked that the U S Federal government contact both MaRS as well as WEtech Alliance! WEtech is now a part of the Bi-national collaboration that allow our clients’ exposure to US government as well. How amazing! 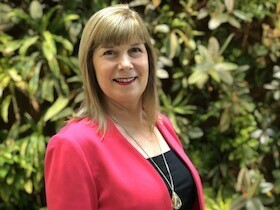 Deborah Livneh is the Entrepreneur-in-Residence at WEtech Alliance. Deborah’s business experience ranges from co-founding and working with startup companies to serving multinational corporations. She is notably a veteran co-founder of an innovative medical technology enterprise.